December 1, 2018, is a worldwide day of service. Shareable content will be available on Church social media pages, including Facebook, Twitter, Instagram, and YouTube, until the initiative ends on December 25, 2018. 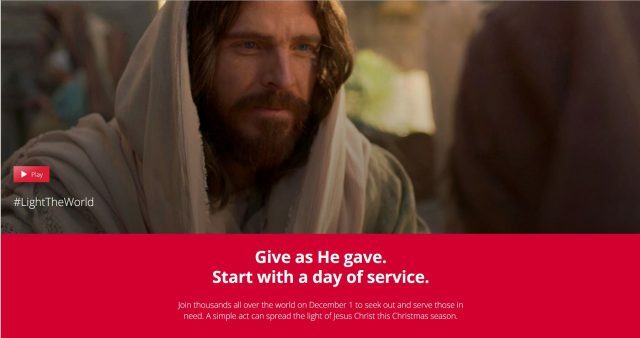 Enjoy and share the video Join the #LightTheWorld Day of Service and start making plans on what you and your family will do on December 1 and throughout the month. Weekly videos will be released each Saturday leading up to Christmas at LightTheWorld.org. The videos will be available in the following languages: Albanian, Armenian, Cebuano, Chinese, Croatian, Czech, Danish, Dutch, English, Finnish, French, German, Greek, Hungarian, Indonesian, Italian, Japanese, Korean, Latvian, Mongolian, Norwegian, Polish, Portuguese, Romanian, Russian, Samoan, Spanish, Swedish, Tagalog, Thai, Tongan, and Ukrainian. Posters, pass-along cards, a calendar, a home evening lesson, and videos are available at LightTheWorld.org/download. December issues of the Ensign, New Era, and Friend will include articles about the Light the World initiative. The Church has deployed #LightTheWorld giving machines in 5 cities across the world, where people can donate to worldwide or community causes. 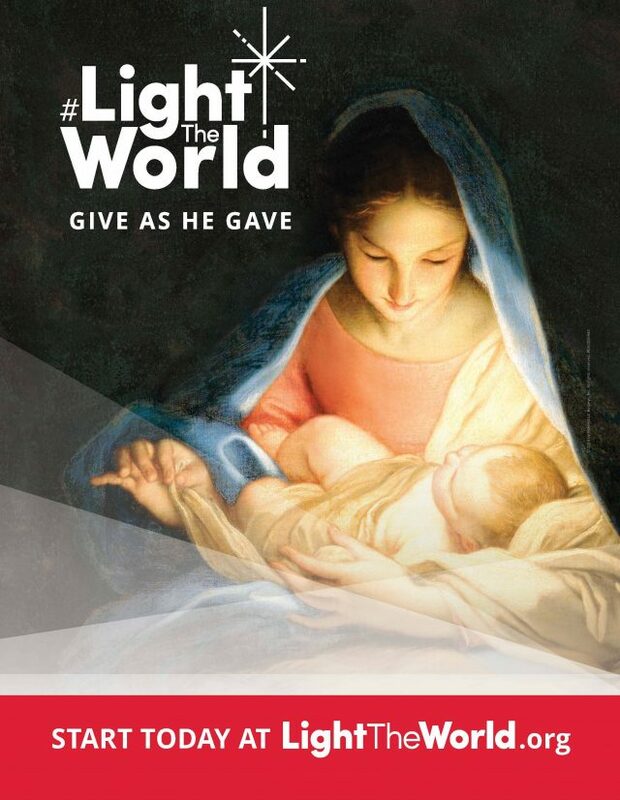 Who is ready to #LightTheWorld?